We do not really know how many clinical trials are taking place in Africa. In fact, we don't know -- and have not known ever -- how many clinical trials are taking place around the globe. And, a fortiori, we don't have much of a grip on what kinds of research questions are being tackled in such trials, and when such trials are concluded, there is often (at best) only piecemeal and partial reporting of their outcomes. The spread of clinical trials around the world has not made information about them much more available. Why does this information matter? Knowing about what trials are already ongoing would prevent duplication and waste, and would let patients and doctors know what is in the pipeline. It would help Ministries of Health and scientific institutions define research priorities, and would assist in focusing the efforts of regulators, including those charged with the protection of human participants in trials. Those thinking of participating in trials would also be better informed about 'what is out there'. It would also allow us to learn about negative results, which tend to be underreported or selectively reported. And it would be interesting to know how much (or how little) of the global research endeavor is devoted to diseases and conditions that disproportionally affect developing countries. However, the pharmaceutical industry for their part has traditionally been reluctant to share information about their activities, not necessarily because they have skeletons in their closets (though they might), but because they feel that greater transparency might reveal too much to their competitors, and result in the sacrifice of their competitive edge. The World Health Organization, back in 2004, launched an initiative to create a global database of clinical trials, called the International Clinical Trials Registry Platform, ICTRP. The moral philosophy behind the initiative is that information generated by clinical trials conducted worldwide constitutes a 'public good' that must be shared to improve health. But if the carrot of 'doing good' is not enough to motivate agencies to register their trials, there is always the stick: the International Committee of Medical Journal Editors (ICMJE) has a policy that if there is an intention to publish trial results in any of its 11 member journals, the trial (including Phase 1 trials) must be registered with the ICTRP. And these are real journals like the Lancet or the New England Journal of Medicine, the kind that get you tenure or help you market your drug. This week the global registry grew an African wing. The Pan-African Clinical Trials Registry (or PACTR) has been accepted as the first World Health Organization (WHO) endorsed trials registry in Africa. This registry will channel data into the ICTRP, and therefore we will come to know more about Africa-based clinical trial activities. It will be interesting to see what's cooking once the lid is taken off and we are allowed to peer in. The ethical complexities involved in outsourcing of clinical trials in developing countries have been discussed over the last few years, and by the looks of things, this discussion will continue. For different reasons. First, and probably foremost, because the practice itself is lucrative: there are millions of dollars to be saved by holding your trial in Mumbai rather than Miami, and success in a clinical trial, especially when translated into a well-marketed pharmaceutical drug, can reap billions of dollars in profit. Second, no one to my knowledge has ever said that the practice was morally impermissible or that it should be prohibited. It has always been a matter of how to ethically conduct such studies in impoverished communities whose members may have little to no understanding of the nature of the research and will probably not benefit much directly from their involvement. Making research ethical in such contexts has always been a matter of adding protections and safeguards. Perhaps being ethical in a deeper sense would involve chipping away at the gaping inequalities in power and wealth between the researchers and the researched, but almost no one wants to touch that one: not researchers, not their funders, and (sadly) not governments. The Guardian in the United Kingdom has a short piece on this issue. Frankly, the article itself adds little to the debate, but some of the comments on the article are worth looking at. Some depict outsourced trials in terms of exploitation, others as opportunity; and opportunity for local communities and trial participants, not just those trying to make a profit. For example, in poor countries, getting into a drug trial might be synonymous with gaining entry to a higher standard of medical care than one would otherwise get, and prohibiting this opportunity in the name of ethics, to some observers, sounds perverse. Communities might also gain some ancillary benefits in terms of facilities or training. And yet the possibilities for exploitation are still there, and these benefits (sometimes real, sometimes not) do not silence the concerns. So outsourced trials come across as a kind of mixed blessing, a partly dirty business, but not all bad. 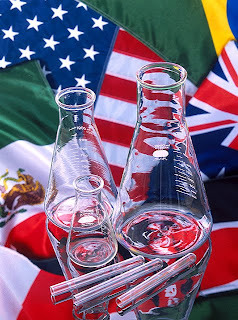 A detailed and nuanced understanding of global drug research and outsourcing can be found in a new book by Adriana Petryna, When Experiments Travel: Clinical Trials and the Global Search for Human Subjects. The book makes clear that reliable data in support of new investigational drug applications to the FDA is a rare and highly lucrative commodity, like gold or diamonds. But to get the data, you need humans. And not just any humans: you need humans with this or that disease or condition, preferably who have not taken many other drugs before (drug interactions may influence the data), and many other specific inclusion criteria besides. And you want the study to run in places where you can get more for your dollar (or Euro), and where the regulatory climate is still immature. Contract research organizations (CROs) are paid by pharmaceutical companies to find the right humans in the right places, recruit them, run the study, deliver the data. Petryna's book shines a light on an obscure global industry, peopled with not so much with heros and villains, but with ordinary actors engaged in a partly dirty business across national boundaries. We think sometimes that, when we are terribly sick, medical science must have progressed to a point where there is an effective treatment. That belief (or faith) sometimes turns to be true, and sometimes not. In the latter case, there is a terrible feeling of fear and powerlessness on the part of the patient, family members and friends. Science turns out not offer salvation. So if there is a chance that some new experimental treatment, being tested or offered somewhere, could provide some benefit, this can be a wildly attractive prospect. And the idea that access to a 'last chance therapy' could be prohibited by regulations can seem like unjustified paternalism. It is a bit like the scene in Monty Python's Life of Brian, where a man is about to be stoned to death for saying the holy name 'Jehovah'. As he is lined up to be stoned, he yells 'Jehovah! Jehovah! Jehovah! ', and the priest presiding over the stoning exclaims: "You are only making it worse for yourself!" And the condemned man understandably replies: "But how can I make it worse for myself?" Those seeking last chance therapies might ask the same thing: even if the therapy is risky, even if it may not help, how can I make it worse for myself? A couple of years ago, some of the people working at the National Institutes of Health clinical bioethics program wrote about different periods and paradigms in clinical research and research ethics. According to Emanuel et. al. (2007), there have been four periods and paradigms: researcher paternalism (1940's to early 1970's), regulatory protectionism (early 1970's to mid-1980's), participant access (mid-1980's to mid-1990's) and community partnership (mid-1990's onward). The AIDS crisis in the United States drove the paradigm of participant access, with patient rights groups increasingly demanding that people with terminal illnesses (and not just AIDS) should have the choice to join experimental trials. As Emanuel et. al. write, the desperate search for treatment tends to blur the distinction between experiment and therapy. A clinic offering a new intervention may be part of a clinical trial or it may be simply be offering 'experimental treatment'. Either might help the patient, either might push our medical knowledge further: but both could be dead-ends in any particular case. Those trying to regulate this new paradigm have their work cut out for them. Not unrelated to the fact that much clinical research is being outsourced around the world, and the rise of medical tourism, people (who can pay for it) are seeking potential therapeutic benefits from cutting edge stem-cell research or clinical practice taking place in countries like China. This research may well not be taking place in the home country of the beneficiary, due to cost or regulatory/legal prohibitions. There is the possibility that such trials or practices may not be in the best ethical shape, for instance involving unnecessary risks and promising to desperate patients more than they can keep. The underlying ethical principle behind the patient access paradigm -- patient autonomy -- is unlikely to capture all of the ethical concerns associated with globalizing experimental therapy.